Joan Rivers had a long and trailblazing career from her time on The Tonight Show up until the week before her death, but if you've followed her recently, you know that Joan Rivers was a fixture on the E! Network with her award show red carpet coverage and, since 2010, with her weekly television show Fashion Police. 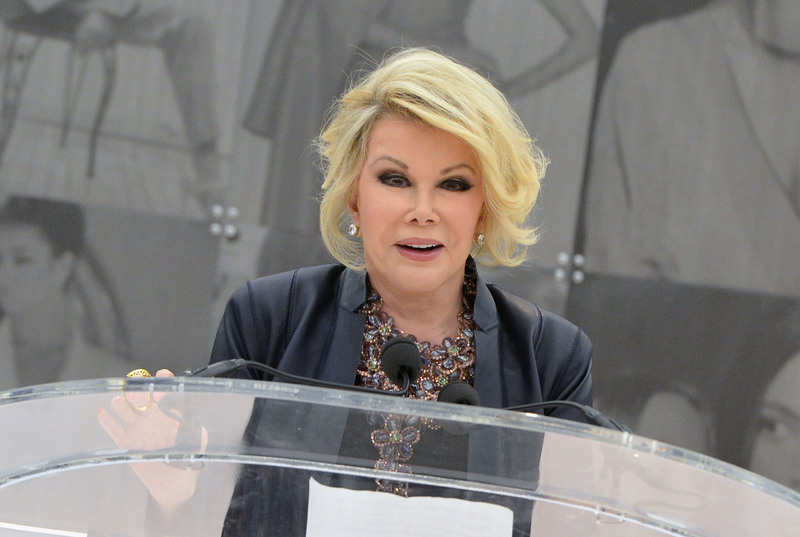 With Rivers' longtime connection to the channel, it's no surprise that following Joan Rivers' death on Sept. 4, her E! coworkers are honoring her. If you tune into E! on Thursday, the entire focus is on remembering Rivers' life — as it should be. And no one makes that case better than her fellow E! employees. The E! News anchors are opening up about their personal relationship with Rivers, talking about what she brought to the network day in and day out, speaking to others who were touched by her, and airing clips of Rivers throughout the years. The coverage includes interesting facts about Rivers which prove that there is always something new and inspiring to be learned about her. For instance, one clip showed Giuliana Rancic interviewing Rivers and bringing up the fact that Rivers invented asking "Who are you wearing" on the red carpet. Rivers responded that everyone "sneered" at her at first. Then there's the fact that Rivers lived in New York City and commuted to LA every week to film Fashion Police. As one her friends at E! put it, there aren't many 81 year olds who could do that. The anchors are clearly effected by Rivers' death emotionally and it's obvious that Rivers was an integral part of the network. As E! News' Terrence Jenkins explained, "This is Joan. This is her home. This is where she was at each and every day … making people laugh." E! will be continuing their coverage of Joan Rivers throughout the day, so if you're interested in finding out a few facts about this pioneer for comedy and for women in general, tune in. Rivers had a life that's meant to be celebrated, and her E! coworkers are pulling off their commemoration with emotion, honesty, and unbelievable memories.